The pleasure of walking by itself. Relaxing hikes and trekkings in La Pedriza near Madrid and Fuenfría's woods for the whole family or long mountain trekkings of the highest quality in Sierra Nevada and the Pyrenees like Senda Camille or Carros de Fuego. We have also many day and multi day tours all over Spain. 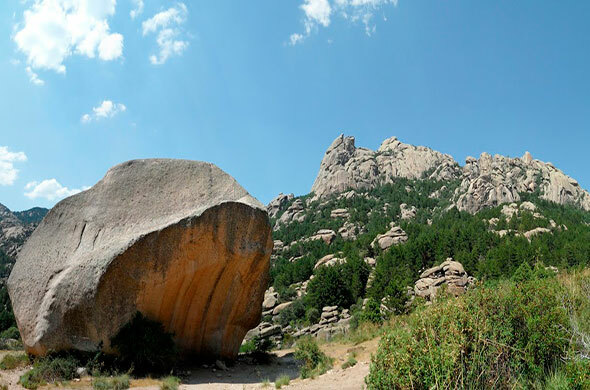 Yelmo (Helm), undoubtedly the most representative symbol of La Pedriza (Madrid), provides us with a demanding route and yet full of satisfactions. 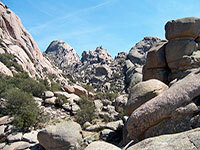 Magnificent views, scrambling and unimaginable granite formations. Dare to adventure and enjoy the walk with our experienced Patagonica guides. from monday to friday 10% discount. Appropriate clothing for hiking (contact us). Water (minimum 1,5lts), snack type food (nuts, energy bars). Meeting point: Parking Canto Cochino 8:30 a.m. (Manzanares el Real). Easy: Include some gentle uphill sections, steep hills. Hard: include a very significant amount of scrambling. 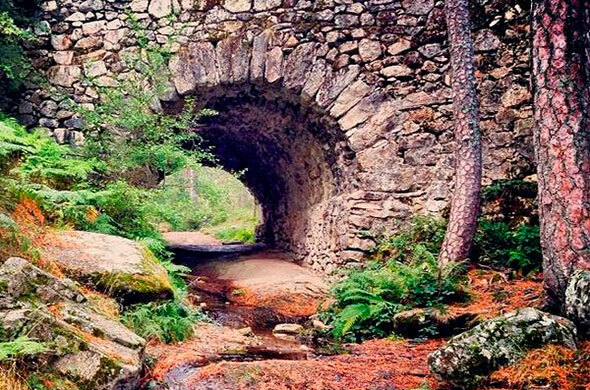 Maliciosa with its gorges and alpine meadows offers one of the most beautiful and important ascents in Sierra de Guadarrama. Surrounded by the valley and the formidable Pedriza National Park. 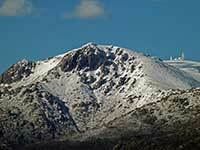 Its steep orography and its 2227 meters of altitude are imposed on the central plateau. Meeting point: Hotel La Barranca 8:30 a.m. (Navacerrada). The Labyrinth, out of being a busy and traditional route, sharpen our senses to access at this magical and hidden place. 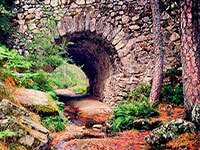 Hike near Madrid with a different touch than usual, through small and lonely trails, blocks and fanciful shapes. Let us show you a place shrouded in mysticism. Magical Pedriza!!! 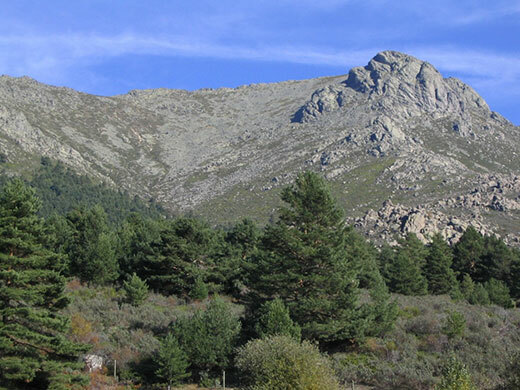 The first, more humble and unknown of the SEVEN PEAKS, walk trough the best known ridge in Madrid, cross the the Roman way and have unique views of the pine forests of the Fuenfria valley as well as the surrounding peaks like La Peñota or Montón de Trigo. Separated from its bigger brothers and only 50 minutes away from Madrid, it deserves to be known. Meeting point: 8:30 am Parking next to Casa Cirilo (Carretera de las Dehesas-Cercedilla). In Patagonica we want you to do the Hike or Trek of your dreams, tell us where and when and leave the rest to us. 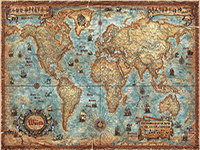 Side by side with our guides we plan and fulfill your project. Please contact us and dare to the adventure !! !